We nurture the spiritual exploration and growth of all who participate…members, adherents, visitors and part time people who live here. We are an intentionally inviting Christian community that welcomes and embraces new participants. We reach out and become agents for social justice in our neighbourhood and in the global community. Worship can include quiet contemplation, insightful discussions of scripture, thoughtful sermons, and a spirit-filled approach to music. Worship also includes an emphasis on open and “generous” communication in all aspects of the operation of the church. Scripture is interpreted with a deep understanding of the complexity and nuances available through a more liberal interpretation of traditional teachings. Offerings from other faith traditions and a deep reverence for ecology and our place on the earth are sometimes woven into regular services. 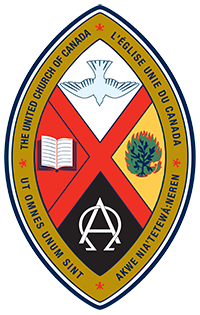 Social justice and outreach are an important manifestation of worship at Ralph Connor and are connected with the efforts of the United Church of Canada. Through discussion, ministerial input, fundraising for those in need, and community lectures, the congregation stays abreast of current issues in our world and endeavors to take action in ways that make a difference. In addition, once per month (on Communion Sunday, typically the second Sunday of the month) we receive a second “Benevolent” offering, so that funds are available for emergency needs and for community outreach. At Ralph Connor, you’ll find a congregation and staff who are warmly welcoming, an intellectually and spiritually stimulating environment and a true sense of social responsibility and justice in action. We welcome any questions or input you might have about our approach, mission or vision.